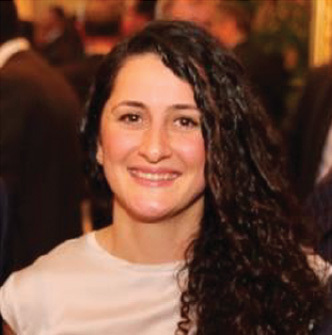 Isil Etes is an alumna from the School of Law, with a Master of Laws (LLM) in Public International Law (2011). She is now a Contract Analyst at The Walt Disney Company, as well as a long-standing mentor on QMUL’s QMentoring scheme. We caught up with her to find out about her volunteering work in this capacity and other volunteering projects she has been involved with at QMUL. Isil, it’s great to catch up with you about your experience with the QMentoring scheme! Could you start by telling us a little bit about your history with QMUL, and where you are today? Sure! I studied LLM Public International Law and graduated in 2011. After this, I stayed in London and got a full time job at the European Bank for Reconstruction and Development (EBRD). During my tenure at EBRD, I spent two years working in their in-house legal department. I am now a Contract Analyst at The Walt Disney Company working as part of the in-house legal team in London. I am currently managing the lifecycle of merchandise and publishing license agreements for Disney Consumer Products throughout EMEA. This includes negotiating and drafting the contracts, and other contractual documents and tracking the upcoming renewals. What inspired you to become an alumni volunteer and get involved with the QMentoring scheme at QMUL? Volunteering is an invaluable experience and doing this at Queen Mary, the university that you love, the place where you build the foundations for your future life, is priceless. You are not only giving back to the community which helped you to become the person who you wanted to be, but you also get to do this at the campus where you had so many unforgettable memories. Even the thought of it puts a huge smile on my face and I didn’t hesitate for a second to become a QMentor when I was contacted for it. What are your responsibilities as a QMentor and how does your work benefit the student? Every year, I mentor a different student and advise them on various matters including how to build up their CV, interview techniques, confidence building and making career decisions. I also give them insights and tips about how to survive in business, which I call ‘the jungle’! What have you gained from volunteering and what have you enjoyed? Mentoring a student is one of the most exciting things I have ever experienced! It feels like being a parent. You teach them, you learn with them, you share your experiences, you guide them and in the end feel very proud of seeing their progression. Why do you think it is important to engage in this type of volunteering activity? Just like society in general, business life has both written and unwritten rules. When we think about everyday life, we operate mainly within the unwritten rules, and it’s the same for business. Mentoring is one of the few ways of teaching students the unwritten rules of working life and I am hoping to achieve that. I enjoy being able to give students specific insights from the sector I work in. QMUL usually match me with Mentees that are interested in working in the legal sector and I hope my insights will help them during their job seeking and early career decisions. I also hope that the sessions where I focus on Mentees’ personal development are helping them to build their confidence. As many of us did in the past, students/Mentees tend to focus on their weaknesses and underestimate their strengths. Having encouraging conversations with Mentees, QMentors can surely help them with tackling this common issue as, unlike friends and family, QMentors are an objective external person who has experience in business and they trust our judgements. Were you involved in any other volunteering work while you were a student at QMUL? I remember volunteering for a number of projects and the one I can never forget is modelling for the QMUL catalogue! It was exhausting but great fun and I earned 50 pounds on the day! This was seven years ago but those photos are still being used for QMUL catalogues and newsletters. Another one was a podcast which aimed to promote the university. Speaking in front of that camera was absolutely nerve wracking!